On Saturday, January 6th, 2018, Councilman Rev. 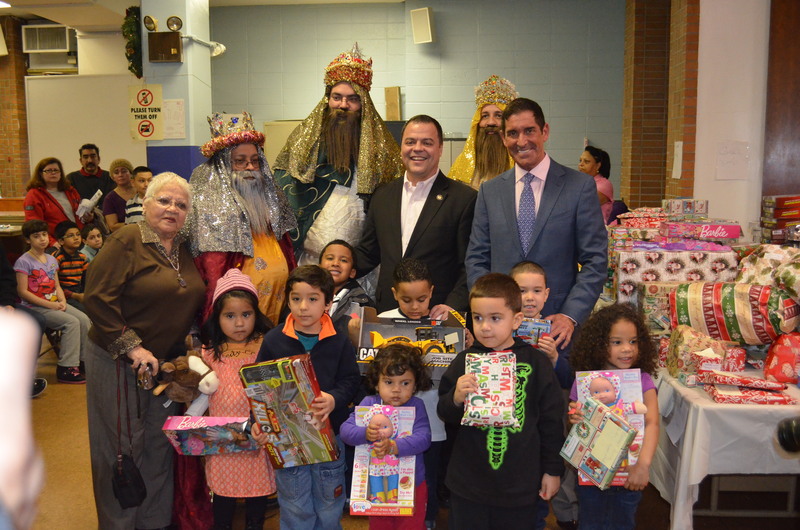 Rubén Díaz, together with the New York Hispanic Clergy Organization, Radio Vision Cristiana International, Radio Cantico Nuevo, Assembly Members Marcos Crespo, Luis Sepulveda, Councilmember Rafael Salamanca and different community organizations, will be celebrating the visit of the Three Kings to Bronx County. “During these activities, the first 500 children between the ages of 1- 10 years old, will receive a toy and a book bag with school supplies. Live music and entertainment will also be provided for the children,” stated Senator Díaz. 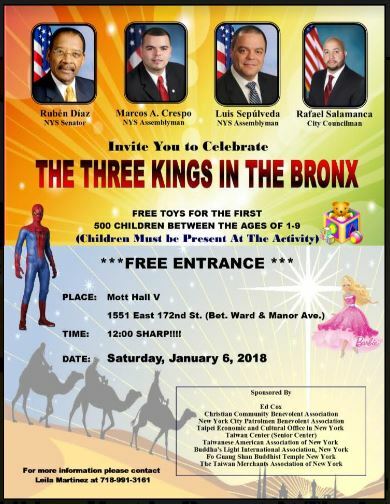 The Three Kings Day visit to the Bronx “a traditional Hispanic cultural celebration, will take place on Saturday, January 6, 2018, at 12:00 pm, in Public School Mott Hall V located at 1551 East 172nd Street (Between Ward & Manor Ave). Note: Children must be present in order to receive a free toy.